If you believe every woman should sparkle on the outside the way she sparkles on the inside, you are going to love Traci Lynn Fashion Jewelry. Started by Dr. Traci Lynn herself, Traci Lynn Fashion Jewelry offers some of the most gorgeous jewelry and accessories available in the direct sales industry. Not only that but their culture of lifting women up to be the very best they can be in every aspect of their life is admirable and inspiring. 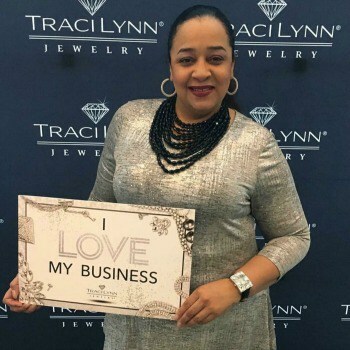 As an Independent Traci Lynn Fashion Jewelry Consultant, you can build your business online, with vendor events, or by hosting in-home parties which is where the magic really happens! Just imagine a fun night trying on gorgeous, sparkling jewels while laughing with friends and calling it “work! !” You can not beat that. Traci Lynn Fashion Jewelry Consultant Kits start at just $199 and include jewelry, accessories, and business aids that you need to build a strong and profitable business. They even offer a Quick Start Program that helps you to build good business habits right from the very start. Their generous compensation plan and sisterhood support within their organization makes it no wonder Independent Traci Lynn Consultants truly love their businesses. I am very passionate about my Traci Lynn Jewelry business. This business has been life changing for me and has helped me tremendously with my personal development. I love team building and helping others launch their business under the Traci Lynn Brand. Our CEO is the first woman CEO of a direct sales company appointed as Vice Chair and soon to be Madame Chair of the U.S. DSA. We are making history and expanding International all at the same time. If you’re looking for an opportunity which will change your life, let’s chat!! Traci Lynn Jewelry has monthly incentives and incentives to join. Please contact me to find out more information regarding the monthly incentive. You can learn more about everything Traci Lynn Fashion Jewelry has to offer by visiting Renee’s website and be sure to also connect with her on Facebook and Instagram.